The 16 Best European Antiques Fairs to visit in 2017 4 out of 5 based on 19 ratings. 19 user reviews. 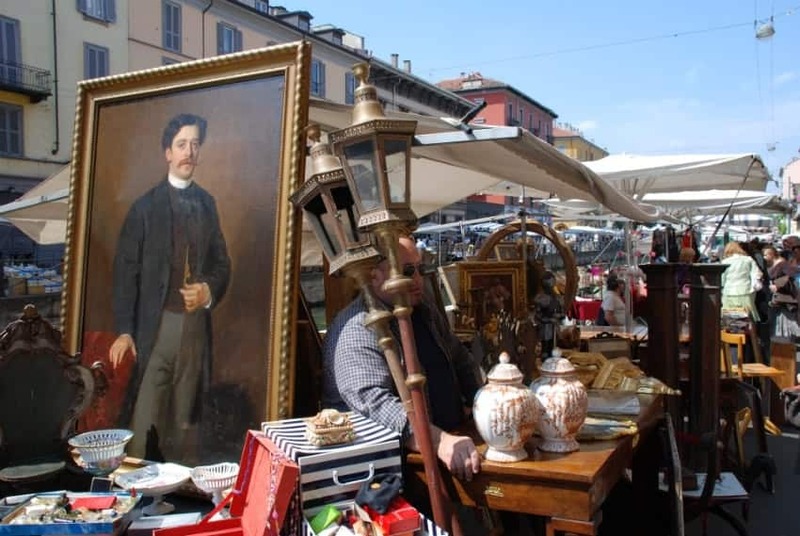 Each year, dozens of major International Antiques & Vintage Fairs take place around Europe, gathering crowds of fans and onlookers in search of a bargain, a rare item, a decorating idea or a souvenir. These true flea market extravaganzas, gather up to thousands of merchants, and ten times as many visitors. Behemoths like the yearly Grande Braderie de Lille and Münchner Flohmarkt auf der Theresienwiese, or the semi-yearly Ciney Expo Flea Market and Antiques Fair are some of the most famous. But there are many more out there, which are just as worth! If you’re wondering which flea market fairs are worth driving hundreds of miles, then a general rule of thumb is to go for major fairs that happen once or twice a year: Yes, they’ll be crowded with people looking for a bargain just like you do, and haggling with merchants may require more skills and determination than anywhere else. But they are truly massive events, some of them gathering thousands of vendors who come from nearby regions or even all over the country. To simplify your search, we have picked for you, the 16 Best European Flea Markets and Antiques Fairs that should not be missed in 2017. Courtesy of our Premium Flea Market Calendar. The Foire de Chatou Antiques Fair near Paris, is one of the most important antiques and collectibles fair in France. 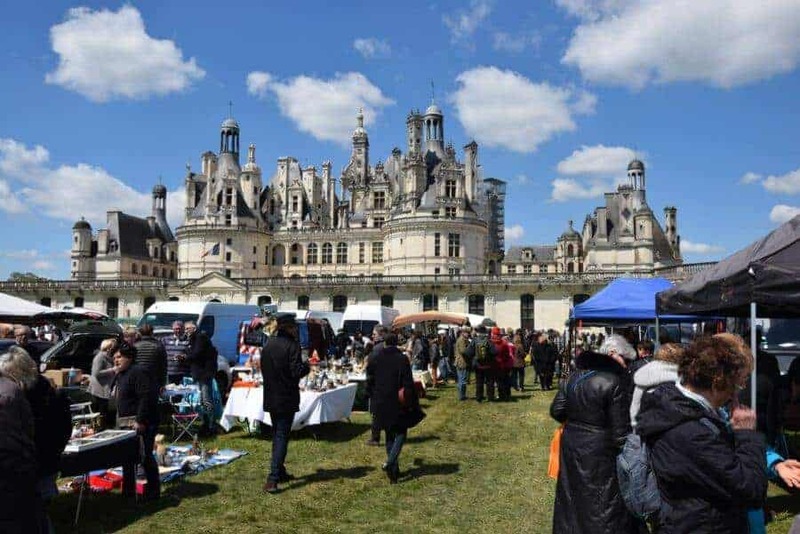 An institution on its own, the Foire de Chatou Antiques Fair brings together twice a year in March and October, more than 700 dealers from all over the country and welcomes 35,000 visitors over 12 days. Over the past thirty years, Isle-sur-la-Sorgue has become the capital city of antiques, thanks to the settlement of nearly 300 permanent antique dealers and second hand shops in town. Isle-sur-la-Sorgue also hosts twice a year a major antiques fair: over the Easter weekend and on the 15th of August. The fair that got started in 1966 with 14 exhibitors, now welcomes over 450 exhibitors (in addition to the 300 permanent antique dealers and second hand shops), and is one of the biggest antiques and second hand fair in Europe. When it comes to fine and huge Flea Market & Antique Fair, then the town of Ciney in the Province of Namur becomes a must! Ciney hosts one of the largest flea market and antique fairs in Belgium with over 700 exhibitors from Belgium, France, Germany, Holland or even Italy and 15,000 visitors. Ciney Puces et Salon des Antiquaires takes place twice a year over three days, usually around March and October. The largest and most famous of all flea markets in Munich is without a doubt the flea market at the Theresienwiese. Always held once a year on the first Saturday of Munich’s Spring Festival (in April), the Münchner Flohmarkt auf der Theresienwiese brings together around 2,000 merchants and more than 80,000 visitors from all over Europe, for one festive day of haggling. After La Grande Braderie de Lille and La Braderie du Canal Saint-Martin, the Réderie d’Amiens is the third largest event of its kind in France. Held twice a year on the last Sunday of April and on the first Sunday of October, La Réderie d’Amiens welcomes more than 500 professional dealers and 2,000 casual traders from all over France, as well as 80,000 to 100,000 visitors, over 51 streets in the town centre. Twice a year, in Spring and Autumn, the Foire à la Brocante des Quinconces is THE appointment of all “bargain hunters” who live in the region. Set on a huge square, this event welcomes twice a year more than 200 exhibitors showcasing a considerable range of furniture and objects, from past centuries to more recent times, in order to appeal to the widest range of potential buyers. A traditional appointment in Bordeaux, the Foire à la Brocante des Quinconces gathers over 180 000 flea market enthusiasts, seasoned collectors or just curious passersby from around the region, who try to find the gem or just want to enjoy from a day out with their family. The vrijmarkt is a nationwide car boot sale or flea market with 3,000 exhibitors. Koningsdag (From 1890 to 2013, the day was known as Koninginnedag) is the one day of the year that the Dutch government permits sales on the street without a permit. Among the most popular areas for the vrijmarkt flea market in Amsterdam is the Jordaan quarter, but the wide Apollolaan in front of the Hilton hotel in southern Amsterdam is gaining in popularity. Children sell their cast-off toys or garments at the Vondelpark, also in southern Amsterdam, and in a spirit of fun passers-by often offer the young sellers more than they are asking for the goods. Not the most impressive of the list for its size or the quality of the merchandise sold, but without a doubt the most scenic of all. The Brocante de Lutry takes place once a year along the banks of the lake Geneva or Lac Leman, and a trip there is a reward in itself even if you go back home empty handed. When it comes to fine and huge Flea Market & Antique Fair, then the town of Ciney in the Province of Namur becomes a must! Ciney hosts one of the largest flea market and antique fairs in Belgium with over 700 exhibitors from Belgium, France, Germany, Holland or even Italy and 15,000 visitors. The fair takes place twice a year over three days, usually around March and October. Taking place on the last Sunday of August, the Farfouille de Leyment (in the Ain region, between Lyon and Geneva) brings around 1,700 vendors and exhibitors over a 20 km area. Paintings, postcards, trinkets, furniture, lighting, old books, vinyl records, decor objects, stamps, pottery, antiques are some of the many items that can be found at this event. A great cultural event organized before school starts! The Temploux flea market, which is also a market for collectors, is a phenomenon in itself. The flea market takes place once a year at the center of the village of Temploux in Belgium, on the last weekend of August. With 800 exhibitors and 130,000 visitors (in 2015), this market is one of the largest in Western Europe and runs nonstop from Saturday morning to Sunday evening. The atmosphere is joyful, different stalls offer something to eat and, at midnight, you can attend a fireworks display! on August 15th of each year, a visit to Andenne is a real must! That day, the annual Andenne Flea Market which has been running every year since 1995, attracts thousands of visitors from neighboring cities and even from France, the Netherlands and Germany! This pretty large flea market features around 600 stalls spreading over 2 miles (3 km) inside the village of Andenne. Stall are mainly held by private citizens (there are a few professional merchants though) who display their goods directly on their doorstep. Each first weekend of September, Lille (in Northern France) becomes the worldwide capital of flea markets and bargain-hunting, while offering a unique opportunity to every visitor to (re) discover the colorful Flemish city with its exuberant architecture, witness of the rich commercial past of Lille. La Grande Braderie de Lille is the biggest open air flea market in France and in Europe with over 10,000 exhibitors installed on 62 miles (100 km) of sidewalk in the inner-city of Lille, and 2.5 million visitors. With around 800 exhibitors spread on an area of 4 square miles (7 km²), La Grande Foire à Tout des Andelys in Normandy is held on the first weekend of September. More than 100,000 visitors are usually expected because La Grande Foire à Tout des Andelys is the largest fair in Normandy. And its slogan “Something for everyone” is more relevant than ever. Deemed the second largest flea market fair in France after La Grande Braderie de Lille, La Braderie du Canal Saint-Martin which takes place in Rennes (in the region of Ille-et-Vilaine in Brittany) gathers more than 3,500 exhibitors, and not less than 150,000 visitors. Held annually on the third weekend of September (Saturday only), this gigantic garage sale is dedicated to every enthusiast who specifically seek out old wooden toys collections, clothing, old coins, stamps, rare decorative objects and even fashion accessories.